What comes to mind when we think of first aid; CPR, or attending to minor workplace injuries? But, what would you do if your faced with not a minor cut, but someone having a panic attack, behaving aggressively (perhaps because of alcohol or drugs), or appearing suicidal? Is there any training to help deal with Mental Health? The Australian Institute of Social Relations is offering a 2 day Mental Health First Aid course to teach adults (18 years & over) how to provide initial support to adults who are developing a mental illness or experiencing a mental health crisis. The course will be offered on the 17 & 24 of September, click here to enrol now. This course has a worldwide trusted reputation for giving people a basic understanding of the some of the most common mental health problems currently affecting 1 in 5 Australians and the strategies to respond. Evidence-based and proven strategies will equip you well to respond in an appropriate and effective manner. Structured like a physical first aid course, you will learn about some of the signs and symptoms that may indicate someone is mentally unwell, and exactly what to do if you are faced with someone experiencing a mental health crisis. It will not teach you to diagnose or decide what treatment is necessary, but it will teach you how to be confident and comfortable in assisting someone until they can receive professional help. The Certificate of Attendance for attending the two day workshop has become a valued addition to many people’s CV and their prospective employers. 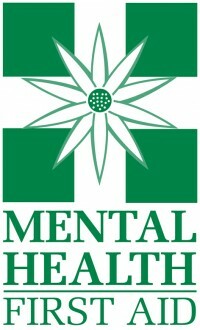 To learn more about Mental Health First Aid, click here.